Determine the first active player by asking who has most recently been abducted by the CIA or the KGB. Or choose the first active player randomly. Shuffle all the Character cards and place the deck facedown in front of the first active player. Shuffle the four Bullet cards and place the deck facedown in the center of the table. Then place the UN token, the Help sheet, and the two Help tokens in the center of the table. Use the following number of Identity tokens according to the number of players. Return the unused Identity tokens to the box. Shuffle the Identity tokens and deal one to each player facedown. Place the only remaining Identity token facedown in the center of the table. During the game, each player adds cards to their display, which is the area in front of them on the table. Players start with no cards in their display. 4 players: Each player secretly looks at their own Identity token. 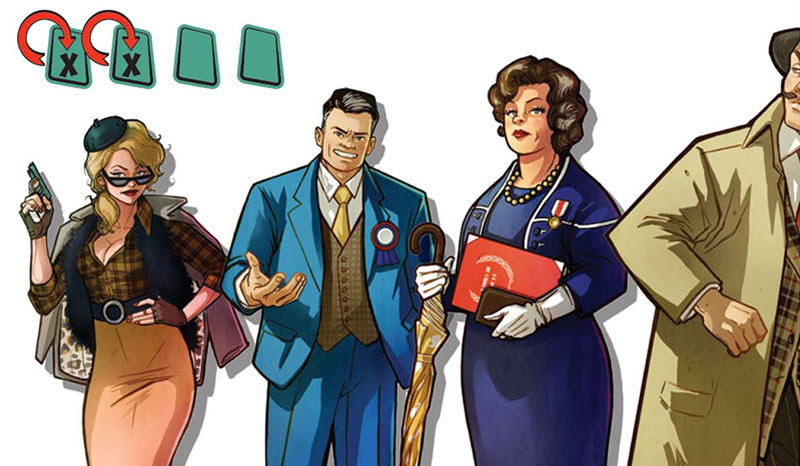 5 or 6 players: Each player secretly looks at their own Identity token and the Identity token of the player on their right. 7 or 8 players: Each player secretly looks at their own Identity token and the Identity token of the player on their right. Then the center Identity token is revealed to all players, before being flipped back facedown. During the game, you cannot look at any Identity tokens unless a card effect tells you to. Players take turns as the active player, starting with the first active player, and proceeding clockwise around the table. The active player draws and reveals cards from the Character deck until they reveal two unique characters. If any drawn cards are identical, keep drawing until two different characters are revealed. Return any duplicates facedown to the bottom of the Character deck. 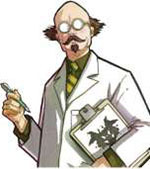 Note: At this time, players may place the two Help tokens on the Help sheet to track which two characters were revealed. The active player takes the two Character cards and secretly chooses one for "The Offer". The active player returns the other Character card facedown to the bottom of the deck. 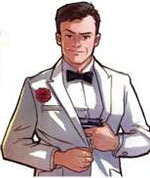 If they accept, the Character card is revealed and placed faceup in the target player's display. 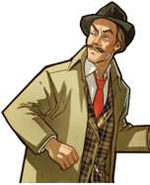 If they refuse, the Character card is revealed and placed faceup in the active player's display. Each time a player adds a card to their display, they must apply its effect. Then the active player passes the deck to the player on their left, who becomes the new active player. At the end of the active player's turn, if any player has a pair of identical Character cards in their display, flip those two cards facedown. The two cards now have a value of zero. 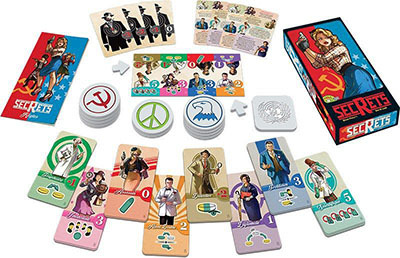 At the end of the active player's turn, if a single player has strictly fewer cards in their display (faceup and facedown Characters, and Bullets) than all other players, that player takes the UN token and becomes the UN player. If the UN player is no longer the only player with the fewest cards in their display, return the UN token to the center of the table. Anytime the UN player is not the active player, they may interrupt "The Offer" before the target player accepts or refuses the card. 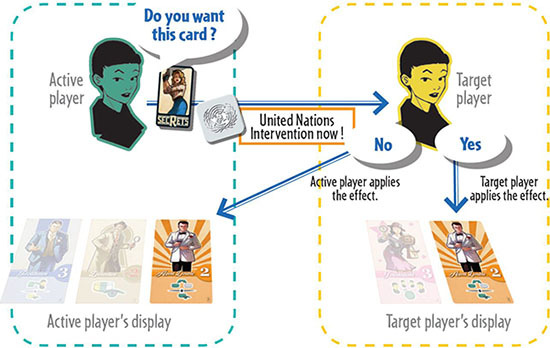 The UN player takes the card, placing it faceup in their display, and applies its effect. Swap two other players' Identity tokens. Do not place this card in your display, instead place it in the display of another player of your choice and secretly look at that player's Identity token. Secretly look at one Identity token. This can be your own token, another player's token, or the token in the center of the table. Draw the top card of the Bullet deck and secretly look at it. Give it facedown to another player who adds it to their display. The player who takes the Bullet card cannot look at its value until the end of the game. Bullet cards have a value of 0, -1, -2 or -3 at the end of the game. When a player adds a fifth card (faceup or facedown Character, or Bullet) to their display, the game ends at the end of the turn. Apply the Character card effect as usual, if any. When a player adds a fourth card (faceup or facedown Character, or Bullet) to their display, the game ends at the end of the turn. Apply the Character card effect as usual, if any. 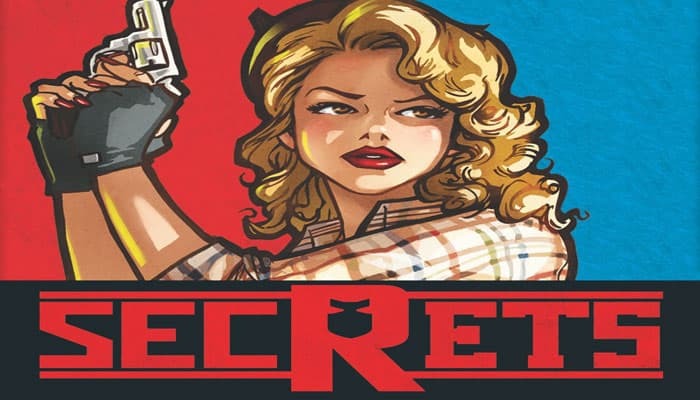 Players then reveal their secret Identity tokens and their Bullet cards. First, each player determines their individual score by adding the value of all faceup cards in their display. If a single Hippie has a lower individual score than all other players, (without any tie), then that Hippie is the only winner. (If there is more than one Hippie, they still score individually, not as a team). 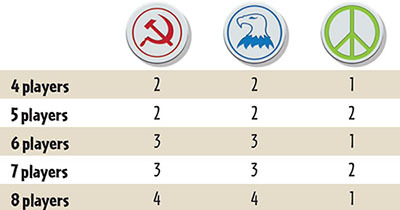 Otherwise, the players on each team (CIA and KGB) add their individual scores. The team with the highest total score wins the game. In case of a tie, everybody loses.